In doing research for my trip to the Olympic National Park one name that came up in a couple of places was that of Pat O’Hara. I’ve found it tough to find out about Pat. He seems to have been most active before the internet kicked into high gear and so there isn’t a big Pat O’Hara web footprint. There is some material – this page on the Nikon website gives a nice biography of Pat and gives a sense of his path to photography from his military service days in Vietnam in the 60’s escaping into photography during his R&R time to his photobooks that serve his passion for the environment and conservation. The gallery of images on this page is also a good resource giving a good overview of Pat’s work – a mix of both the grand and intimate landscape. There is more information about Pat on the Visionary Wild website, largely because the principal there, Justin Black, seems to have coaxed Pat into teaching a workshop a year or two ago. I actually looked at this workshop which was based in the Olympic National Park with a special extension in Pat’s studio but passed on it because I had too many other commitments and thought, foolishly, that I could go to the next one. I haven’t seen another offered but would of course jump on it given the chance. Given the relative small footprint on the web we are then left to look at Pat’s books. Fortunately many are available on amazon.com. Click here to see a list. The first of his books to arrive from amazon was ‘Olympic National Park‘ which has the perfect subtitle ‘Where the mountain meets the sea’. It’s a delightful tour through the park, especially since every image is a unique perspective that I have yet to see elsewhere, plus there is a blend as a mentioned above of grand and intimate landscapes. His work really makes me realize that there are unique images to be made in even the most well visited places if you just take the time to go beyond the postcard shot. If you find a good source of Pat O’Hara’s work, let me know I’d love to see it. 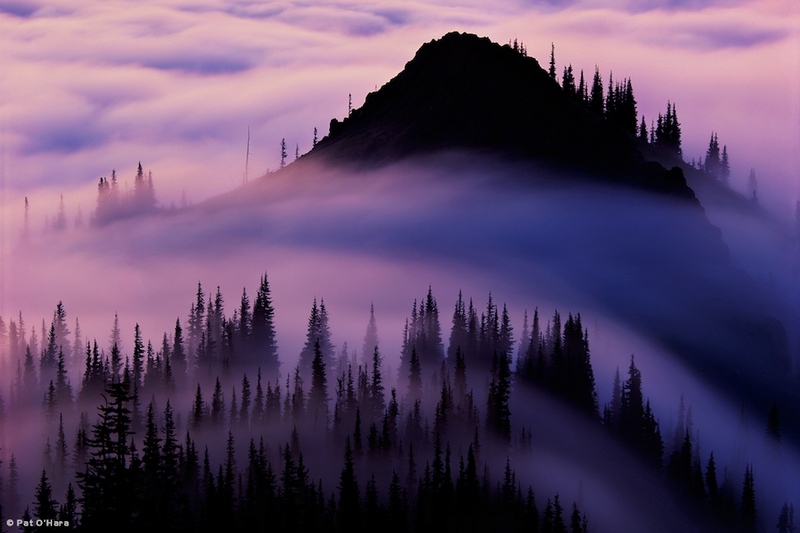 This entry was posted in Friday Inspiration and tagged Hurricane Ridge, Olympic National Park, Olympic Peninsula, Pacific Northwest, Pat O'Hara, Photobook, Photography, Tony Sweet, Workshop by nixonphoto. Bookmark the permalink. His work is truly amazing. Thanks for the comment. The Amazon.com link has a list of his books, but the biography on the page isn’t even the right Pat O’Hara, haha! I did a double-take and thought to myself “he played football?” Nice blog, I really like some of the recent topics you’ve touched on. I’m an amateur/hobbyist photographer and I’m trying to get connected with some more photography-related blogs on WordPress. I saw that too on the amazon site. Seesh, we’ll have to do something about it! I’m glad you’re getting something out of the blog and that you’re adding your voice to the conversation. That’s an absolutely stunning image. It warps the brain to sit and wonder about how the course of photography has been forever changed by the internet, like some magnificent event in nature that forever changes the course of a river. It’s unfortunate to find so little information about him, but I also appreciate to no end how he was among the pioneers of the field long before such things as Photoshop and Flickr. His photography is amazing. I just wish it were more accessible.